If you thought that only pirates were tempted by the lure of hidden treasure, think again! Whether it can be found in the caves of some far off land, beneath the sea or even in your own backyard, we’re all familiar with those exciting tales of untold wealth, lost to mankind forever. Myths, legends, folktales—no matter what you call them, they all have an undeniably mysterious charm. After all, practically every culture has several similar tales that live on to this day. A perfect example of this is the story of the Lost Dutchman Gold Mine. Given that this tale has served as many a gold miner’s fantasy, it’s fitting that we find it set in Arizona’s very own Superstition Mountains. Like many tales shrouded in mystery, there are many versions of this story and their details tend to blur together. One version of the Lost Dutchman’s tale says that the gold mine belonged to members of the Apache tribe. An unfortunate Mexican named Miguel Peralta stumbled upon it, began mining, and was subsequently killed along with his family by vengeful Apaches. Sometime in the future, a man named Dr. Thorne aids a wounded Apache chieftain, who gratefully takes the good doctor to his golden treasure trove and lets him leave with as much riches he can carry. Accounts tell of Thorne either being unable to remember the mine’s location because he was taken there blindfolded, or he simply didn’t want it to be found. The validity of this particular version remains to be seen, because several points don’t add up. In the 1800s, the Peralta family had run a profitable gold mine not in Arizona, but near Valencia. Also, no records exist of any medical practitioners by the name “Thorne” employed by the Army or Federal Government at the time. Still, these elements of the story are still highly popular, partly because of the Peralta stone maps supposedly discovered in Superstition’s foothills in 1952. On the other hand, there is another version of the story with stronger historical evidence. This second version of the Lost Dutchman’s tale tells of Jacob Waltz, the “Dutchman” of our story. A German immigrant who discovered an extremely rich mine somewhere in the southwest of the United States, his name varies from story to story (Weitz, Welz, Weiser). Back in those days, it was common for Americans to refer to Germans as “Dutch”, possibly in reference to deutsche. Most stories agree that the mine was somewhere in the Superstitions, near Weaver’s Needle, a prominent column of rock in the area east of Phoenix, Arizona. Again, there are many variations to this version of the story. Some tell of two men, Jacob Waltz and Jacob Weiser, while others argue that these are one and the same. What is consistent is that a Dutchman finds a very rich gold mine in the Superstition Mountains, and somehow passes on some vague knowledge of it before dying. Some tales speak of Waltz making a deathbed confession in which he scribbles out a map towards the mine; some say that Weiser is fatally wounded either by angry Apaches or his greedy partner Waltz; still others say that a Dutchman (either Waltz or Weiser) found the mine as a reward for helping the Peralta family. 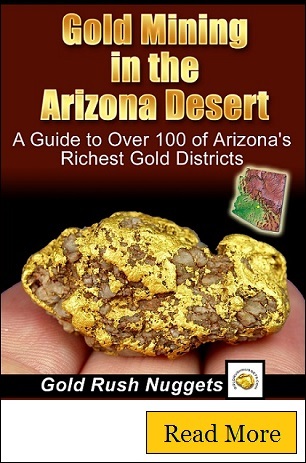 Other accounts, like that of John D. Wilburn, argue that the Bulldog Gold Mine in the Arizona area could be Waltz’s lost mine. From a historical perspective, Jacob Waltz did exist, and he even mined in America in the 1800s. Census records show that a “Jacob Walz” was born somewhere around 1810 in Germany, and an affidavit surfaced proving that a 38-year-old Jacob Waltz emigrated to the New York from Germany in 1848. Waltz also filed a letter of intent to become an American citizen, perhaps to enable him to stake mining claims. Waltz was an avid miner in the North Carolina, Georgia, Arizona and California areas. Waltz prospected every winter from 1868-1886 in the mountains surrounding the Salt River Valley, which ties together with the Lost Dutchman story. He passed away in the home of one Julia Thomas, who just so happened to travel to the Superstition Mountains themselves after Waltz’s death. Because of this, many suspect that Waltz told her of the hidden treasure on his deathbed. Julia Thomas may have been the first Dutchman hunter, but she certainly wasn’t the last. Considered one of America’s most famous lost mines, thousands of people have hunted for its treasure to no avail. Perhaps the universe truly requires balance, because the danger that comes with chasing after the mine is commensurate to the great amount of wealth to be found. Wilderness accidents, exposure, criminal activity—these all contribute to the superstition of the “Dutchman’s Curse”. It doesn’t help that several ambitious miners turned up with bullets in their heads or worse, without their heads, after embarking on their gold-hunting quest. Though the Lost Dutchman Mine certainly has a fair share of risk involved, adventurers and miners alike continue to try their hand at finding its elusive treasure. With all sorts of clues like “the rays of the setting sun shine into the entrance of my mine,” or “to find my mine you must pass a cow barn,” the tale of the Lost Dutchman Mine makes for a truly interesting anecdote in America’s mining history.